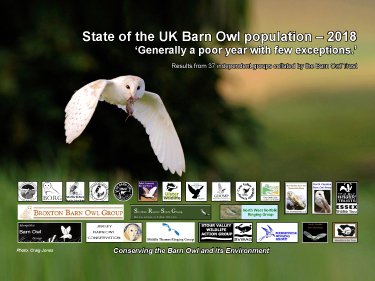 Current UK Barn Owl population and monitoring – more information. Spring 2018 05/04/18 The first egg has been reported to us today, from a site in North Devon. This is something of a surprise after all the cold and wet weather Devon and Cornwall has experienced recently.